Our glamorous 2" h x 3/4" w mosaic earrings blend marquise, round, and teardrop Cubic Zirconia to make a truly elegant statement for any bride. 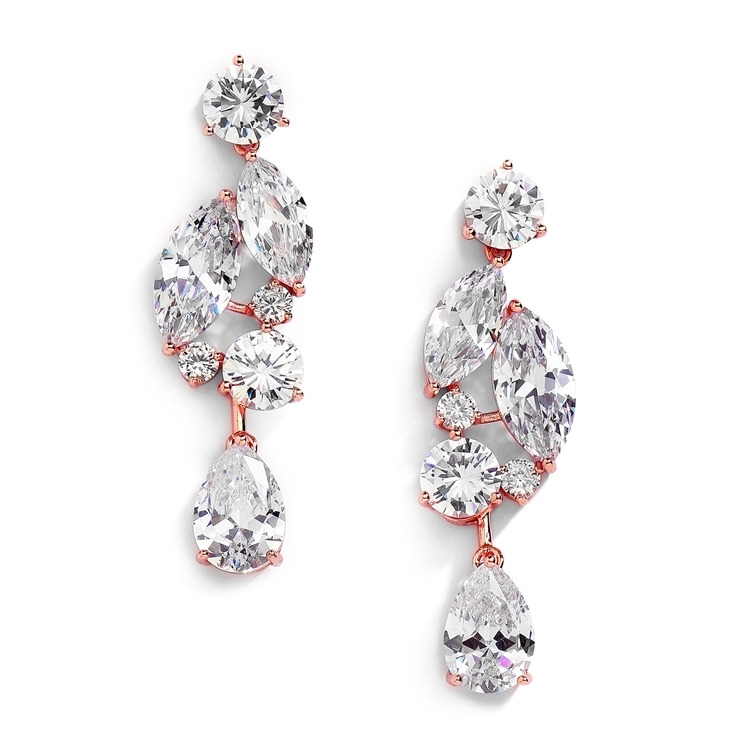 These 14K rose gold plated plated earrings are also great for mothers of the bride, bridesmaids, or pageants. Glamorous is an understatement for this exquisite Cubic Zirconia mosaic earrings. Designed exclusively for Mariell, they combine pears, marquise and rounds to create a work of art that will have everybody talking. These wholesale bridal earrings are perfect for any black tie occasion.